Get started on your Carnatic music journey with the 7 basic notes, and some fun note patterns to help train your voice! 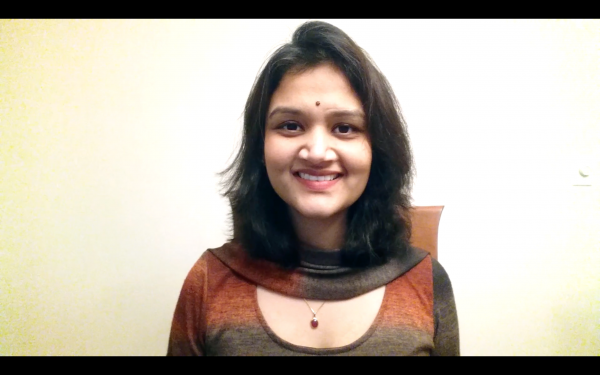 Instructor Divya Jayanthi gives you detailed notes on the importance of learning these note patterns, also called Sarali Swaras, and then offers a chance to repeat many times after her as she teaches each pattern note by note! 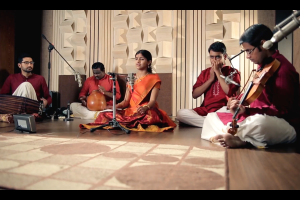 In this module, Instructor Divya Jayanthi teaches the most fundamental concepts of Carnatic music. She helps you learn the 7 basic notes that are taught to beginners, and then the note patterns (Sarali Swaras) that are the foundational exercises that most beginner students learn before they advance to the next level.In the first lesson Divya explains the importance of learning and practising Sarali Swaras with examples of how they are applied in future advanced lessons. Definitely check this out if you are unsure of why and how these note patterns will be helpful, they are a critical part of becoming a good performer.Divya then teaches the various note patterns, one in each lesson, in careful detail with lots of opportunity to sing along and practice. Each note pattern is taught in three different speeds, and you can sing along with her to practice and get it right. 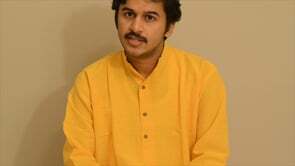 It is also recommended that you take the quizzes at the end of each section, and also try to create your own practice recordings of each note pattern and listen back to see if you are adhering to the right pitch and performing at the right speed.This lesson prepares you for a section of the Level 1 Certification for Carnatic Music by IndianRaga. You can check out the syllabus at www.indianraga.com/certification and plan to take all the necessary modules required for Level 1. 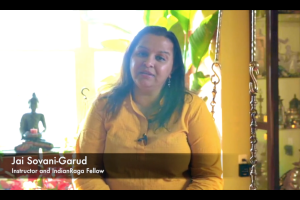 Remember – If you need help learning or perfecting any of this material, you can always email info@indianraga.in to schedule one-on-one online revision lessons with an IndianRaga Instructor. By the end of this module, students will have learned the basic 7 notes and various note patterns in them to get a solid start to their Carnatic music training. 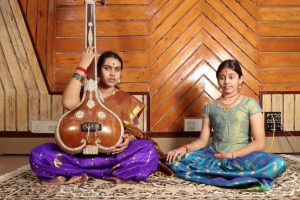 This module does not need any prior knowledge, although we recommend reviewing the ‘Beginner Module : Carnatic Music’ lesson to understand what Carnatic music is all about. A recommended follow-on course is the Stylistic Elements and Ornamentations in Carnatic Music module that will help you finetune and refine how you perform these basic notes.